Cerise Pink Statement Bead Necklace with crystal pendant and tassels. 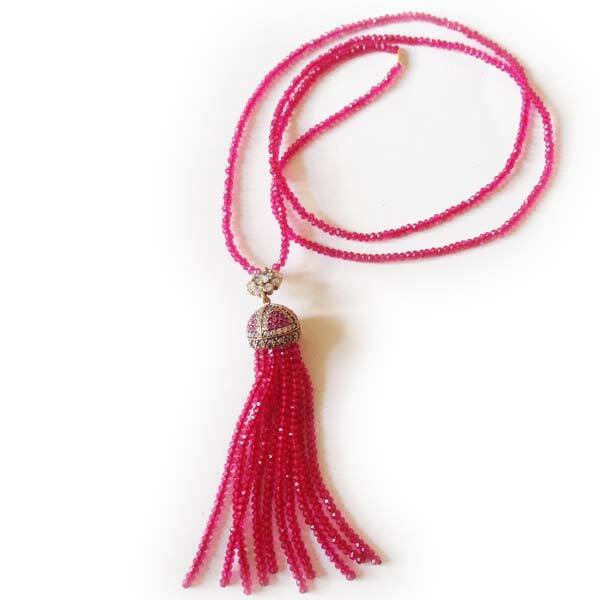 Fabulous cerise Pink Beaded Necklace with with crystal studded pendant and tassels .Mounts are gold plated silver. Dress up a casual outfit or coordinate evening wear.